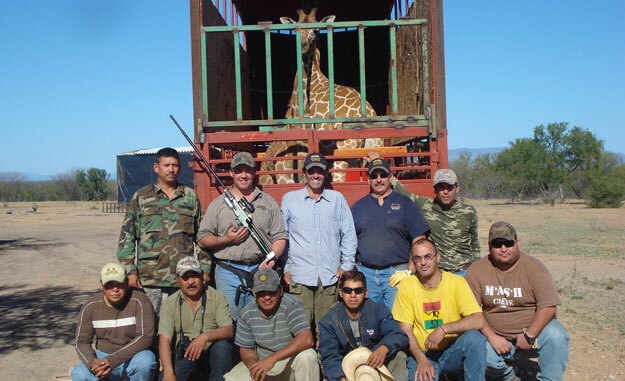 The week of February 15, 2010, Mike Ross, Owner and founder of Dan-Inject Dart Guns, was asked to assist a Mexican capture team in capturing 4 wild reticulated Giraffe that had been living on a “Private Exotic Game Ranch” in the Sonora province of Mexico. These Giraffe needed to be caught and translocated to a new exotic game ranch in Mexico, where they would receive good care. The high value of each Giraffe required the use of Dan Inject Tranquilization equipment and a lot of capture experience. 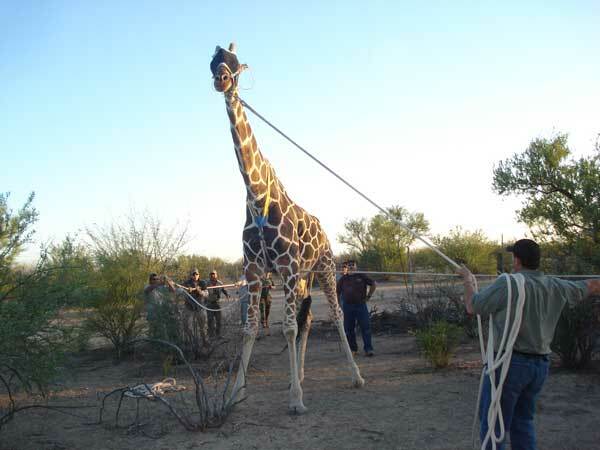 Owing to the fact that Giraffe are not easy animals to catch and translocate, the experience of Mike’s capture services were sought out by the Mexican capture team, who had previously never caught Giraffe. As no helicopter was available for the capture, all the darting was done from the ground using the Dan-Inject JM Special 25 tranquilizer rifle. The Owner of the Mexican team had never seen or used a Dan Inject Dart Gun. He was so impressed with the accuracy and silence of the JM Special that he insisted Mike Ross sell him his dart gun, which Mike did. The ranch owner was so happy with the Dan-Inject experience, he now wants to assist Dan Inject Dart Guns with further sales of our products in Mexico! !